Excellent graphics, moisture proof, durable and appealing confectionery packaging is the key to enhance the shelf life, brand image and marketability of confectionery products. Freshness and taste of the confectionery items completely depend upon the well developed confectionery packaging. 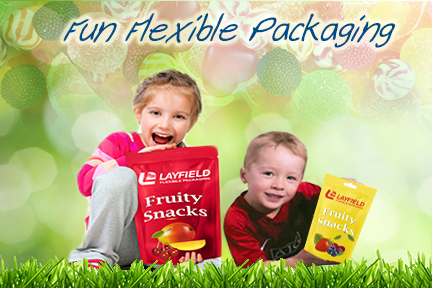 Layfield offers quality confectionery packaging materials, which are manufactured from food grade plastic to maintain the color, flavor and nutrition values of content inside for a long period of time. Our resins are made for high speed production lines (HFFS) and meets the international quality standards. Create a superior brand image amidst your customers with our excellent confectionery packaging!